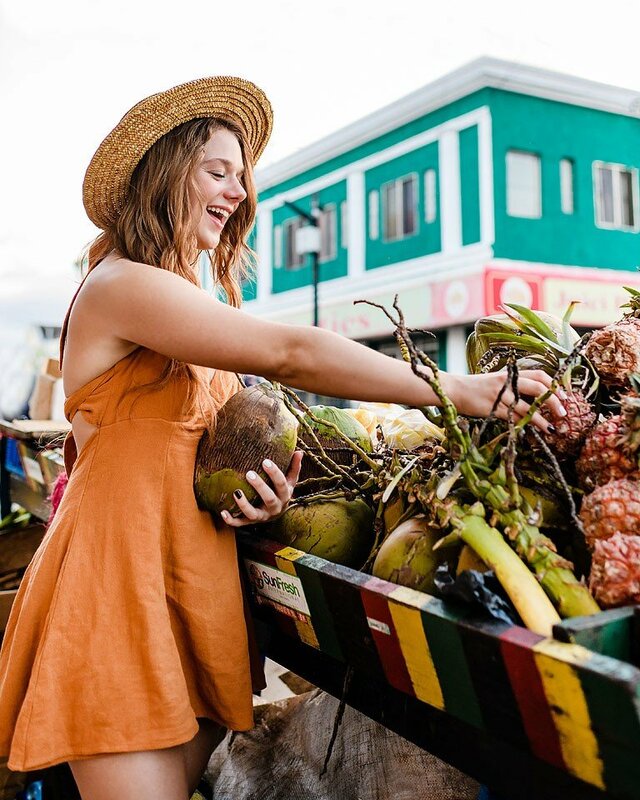 I recently went on a trip to Jamaica with Air Transat. 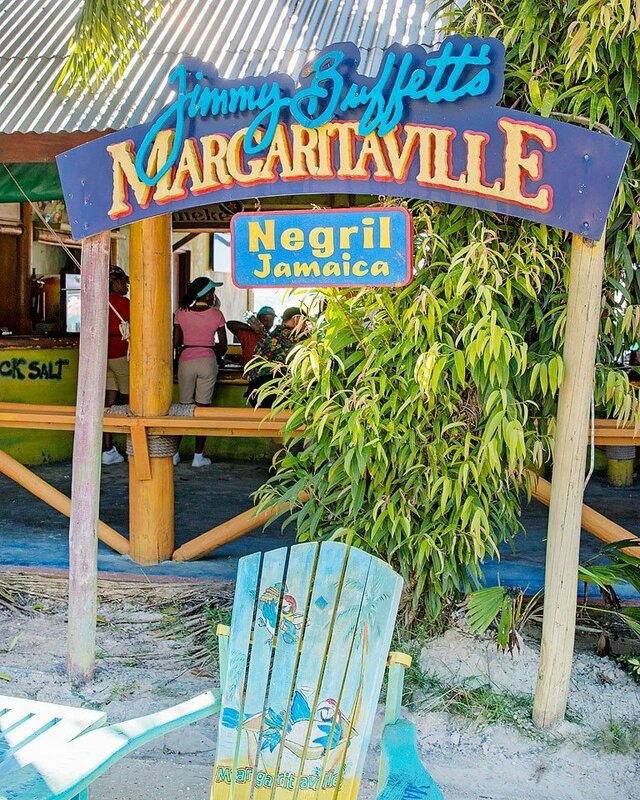 During our stay we were busy taking in all the sights and experiencing Jamaica like a local. 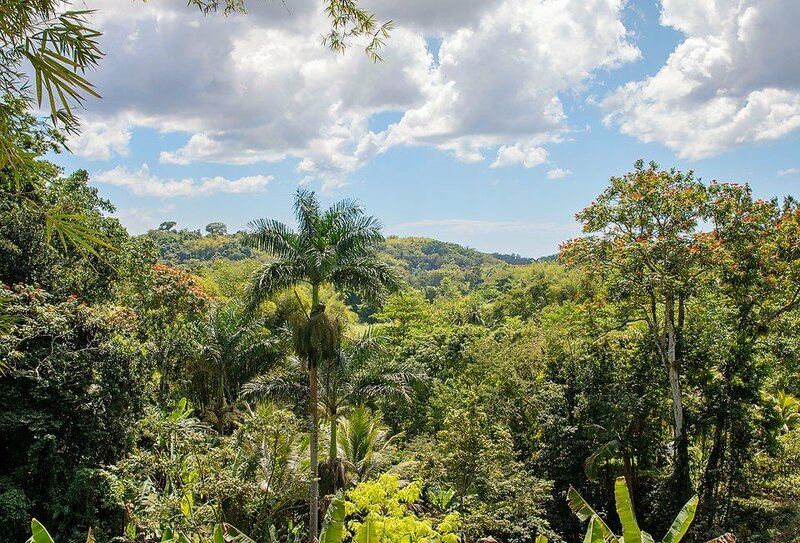 There is more to Jamaica than the beach my friends! 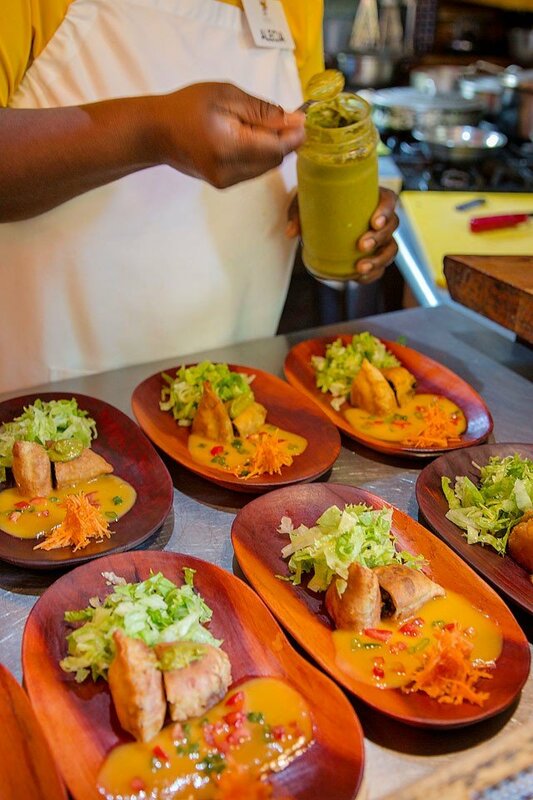 This is my list of the top 10 things to do in Jamaica. I have another blog post about this trip HERE. I have been river rafting a few times here in Canada, which is hectic and fast paced. This rafting tour was the complete opposite. It so peaceful and relaxing plus the scenery is very beautiful! You are on a 30-foot raft with a captain to steer and row you down the river. The captain shared lots of information about rafting in Jamaica and how the rafts are made. It was such an amazing experience and I would totally recommend this to anyone. I loved that the captains let us take turns trying to “drive” the raft. It is actually quite hard or maybe I’m just weak! 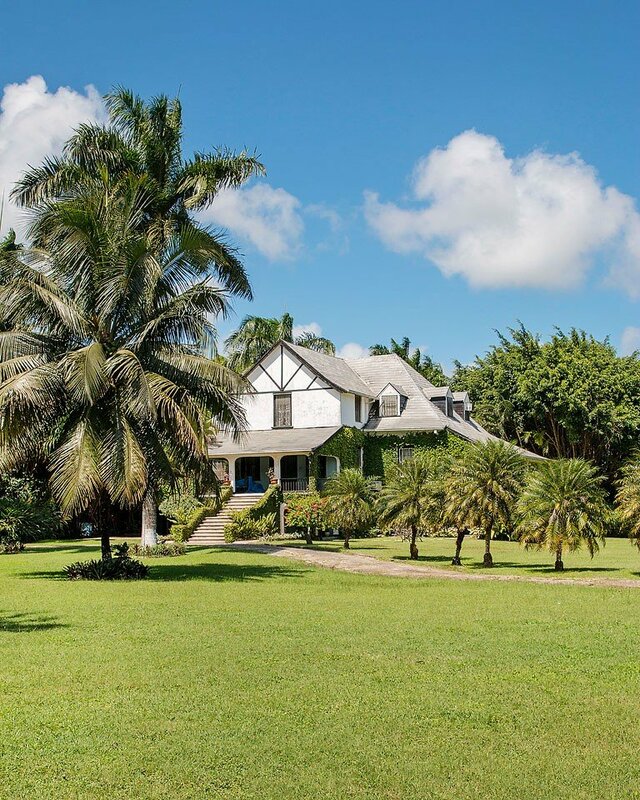 The Hampden Estate is located in Falmouth and it is beautiful. 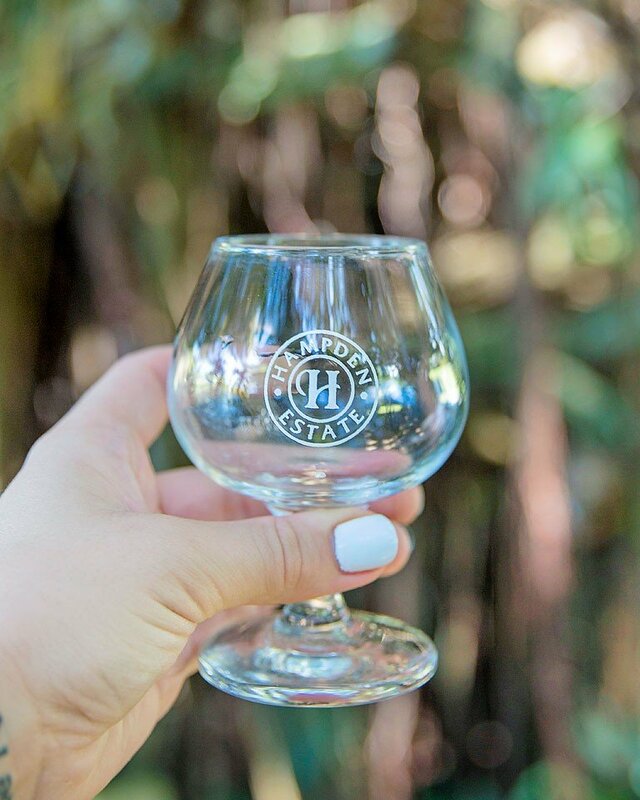 The rum tour was very interesting since they have been the rum at the estate the same way since the 1700s. They use simple ingredients and the rum is very tasty. 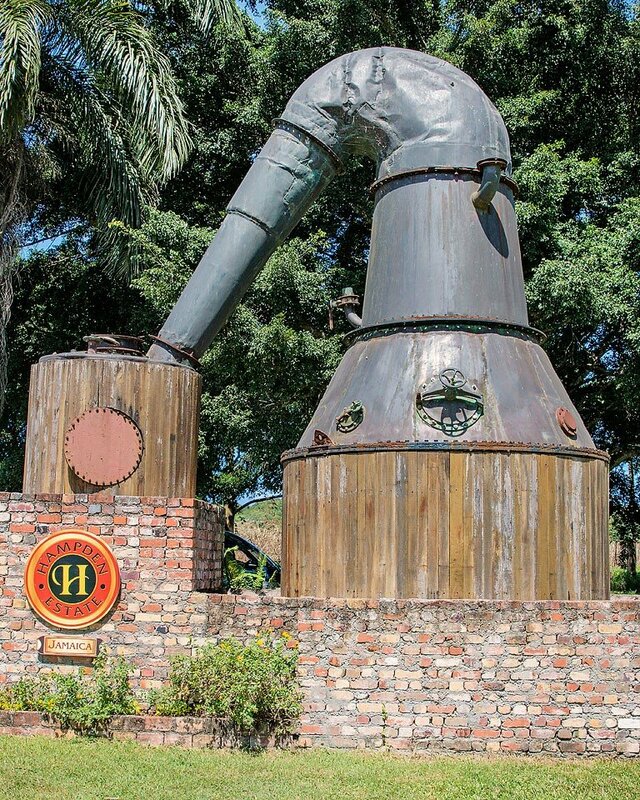 We were told that they make the best rum in Jamaica. I tried one that was 80 proof and it was so strong my whole body burned lol!! It was call fire rum and I can tell why. There other rum that I tried was mixed with juice and it tasted really good. I will leave the 80 proof to the pros. 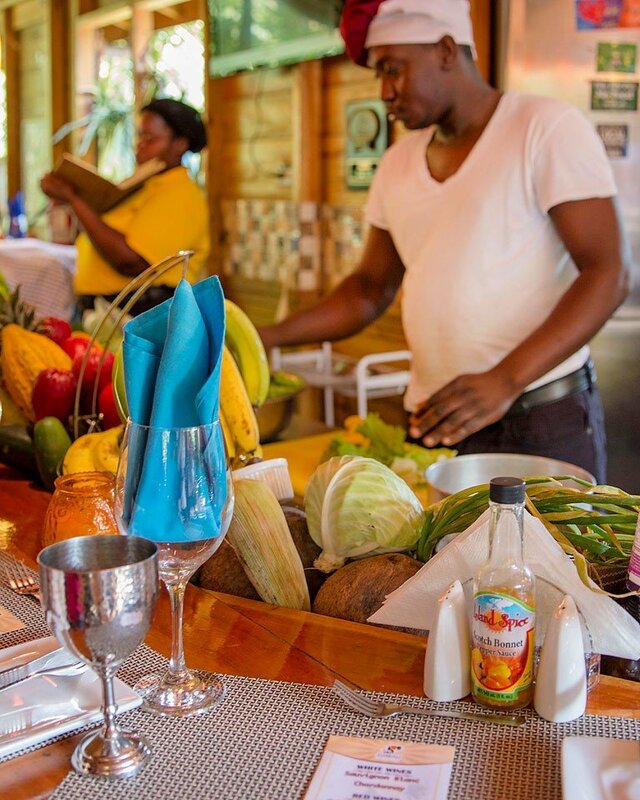 Zimabali Retreats is an off-the-grid farm where you can enjoy a farm to table meal or stay there for a yoga treat. It is located in a tropical mountain valley. 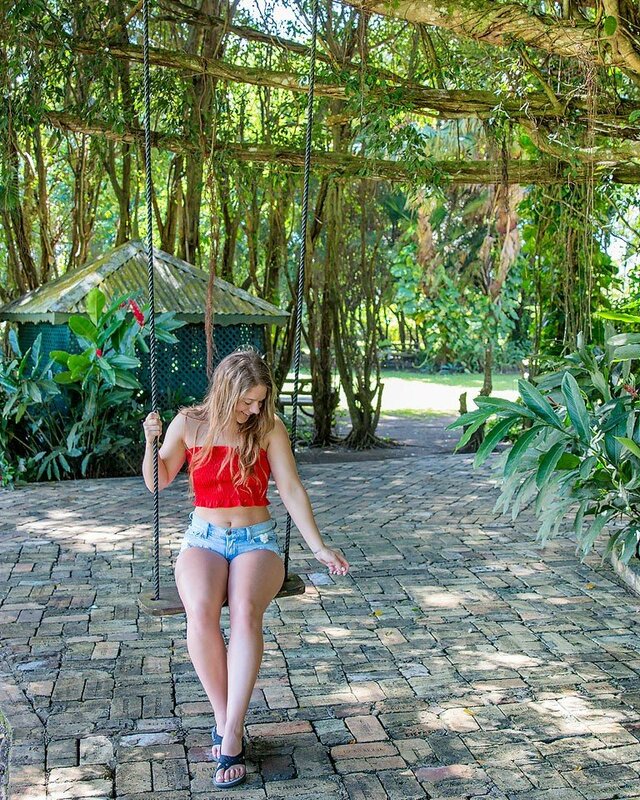 It is a breathtaking location that is surround by rivers, forests and springs. 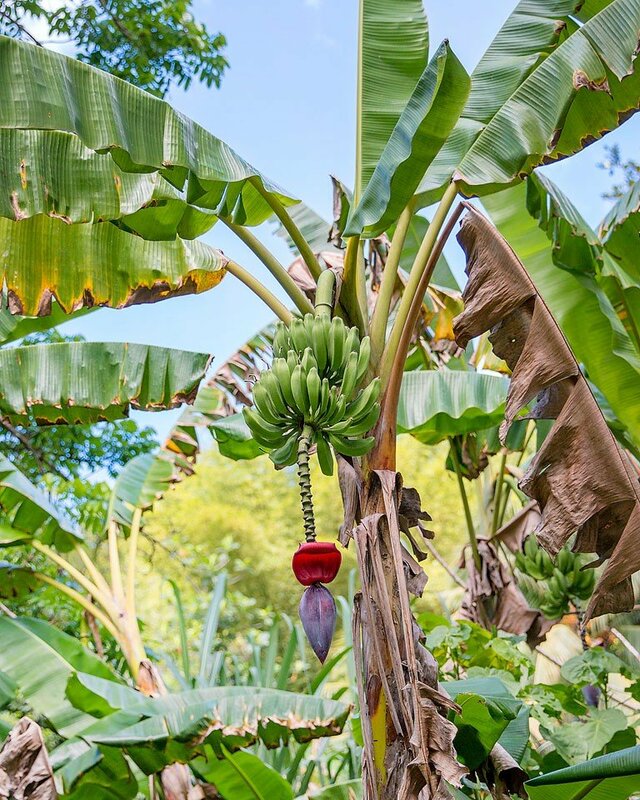 Zimbali Retreats has over 500 fruit trees from pineapple to bananas and plantain. 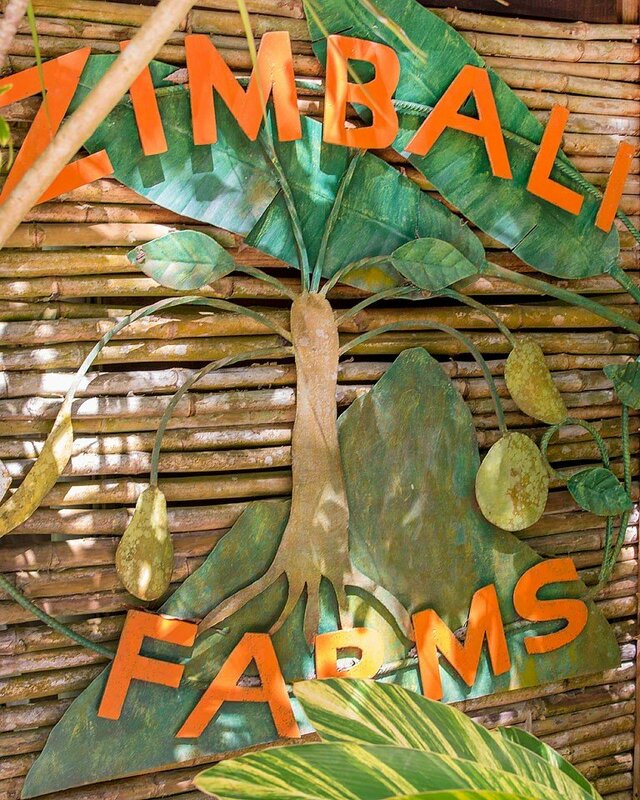 At Zimbali we had a tour of the farm and it was amazing seeing all the fruits and vegetables and how hard they work on the farm to table experience. 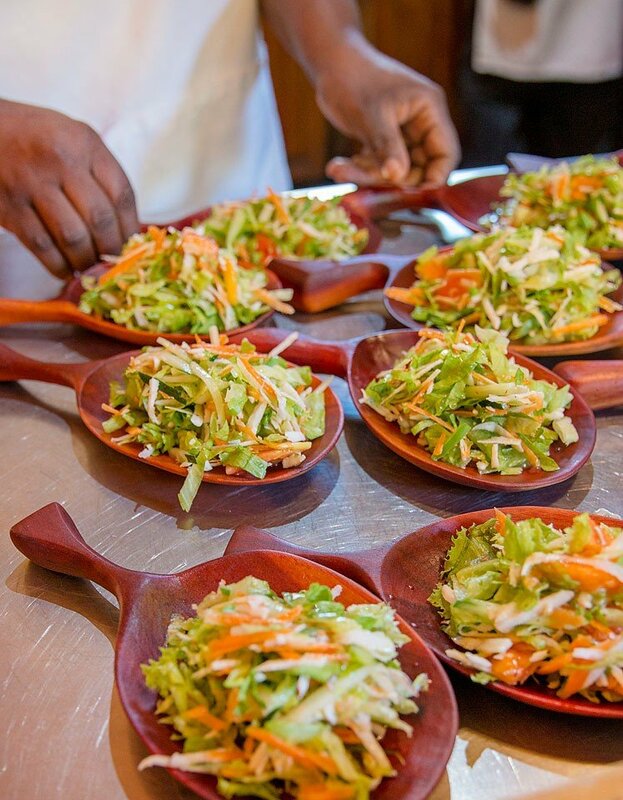 After the tour we enjoyed a farm to table lunch and oh my… it was very delicious! They were able to make all the food we ate from products grown on the farm. It was more than a lunch…it was a four-course meal. We started off with salad and they made me a plantain dish next because I cannot eat gluten. Next was jerk shrimp and then hash browns and we ended with fruit. The others had a tradition Jamaican cake that looked super tasty but I could not eat that because of my gluten issues and my diabetes. It is amazing how accommodating they were to my special diet needs. The experience at the farm was perfect and I would love to go back again and stay longer possibly for a yoga retreat. If you are looking for a long, lazy day of soaking up the sun. Seven Mile Beach is in Negril on an unofficially highway. While we were at Seven Mile Beach we went to Margaritaville and enjoyed margaritas (of course) and enjoyed the sunshine on this beautiful beach. We had a lot of fun here and it was nice to have a little relaxation time. 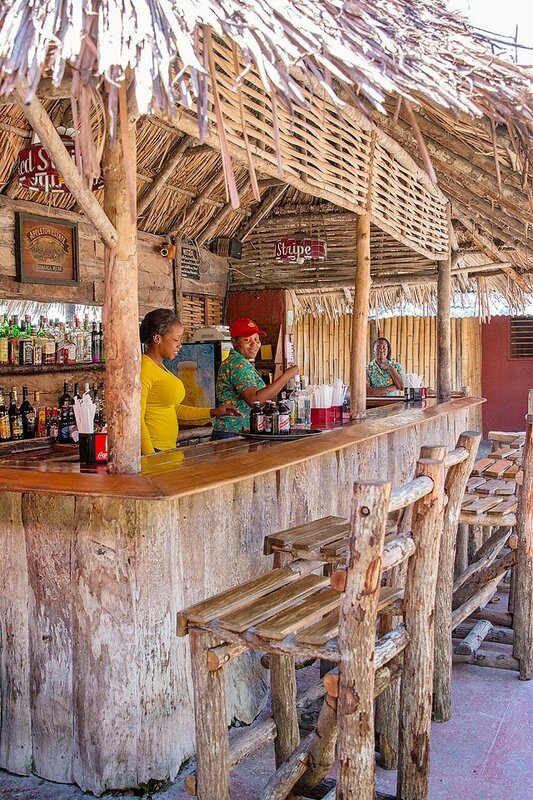 Rick’s Café was one of the first public bars and restaurant of its type in this area of Jamaica. 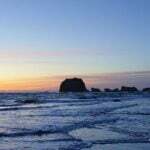 Rick’s Café has the best sunsets ever so get there early if you are going around sunset. It gets busy! The sunset the night we were there was very dreamy. 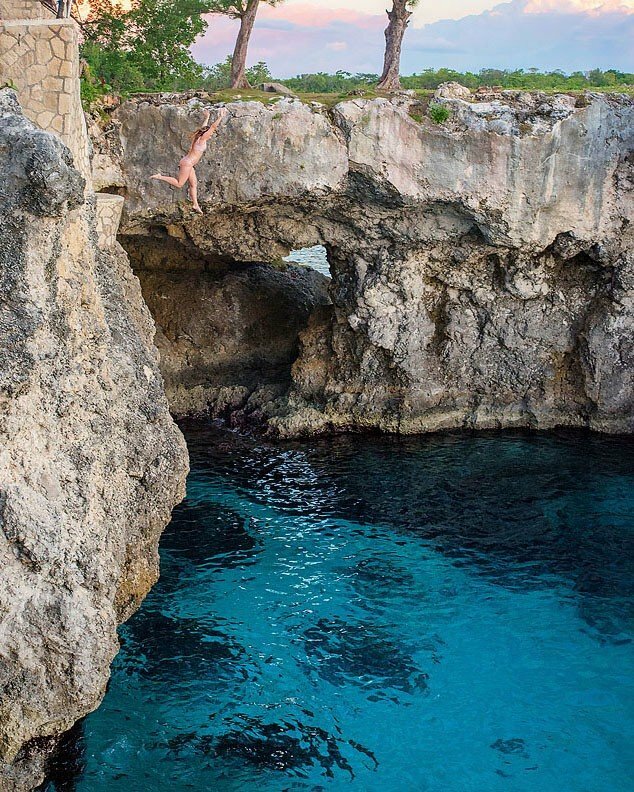 I was excited to go here because they have cliff jumping…which I love to do. 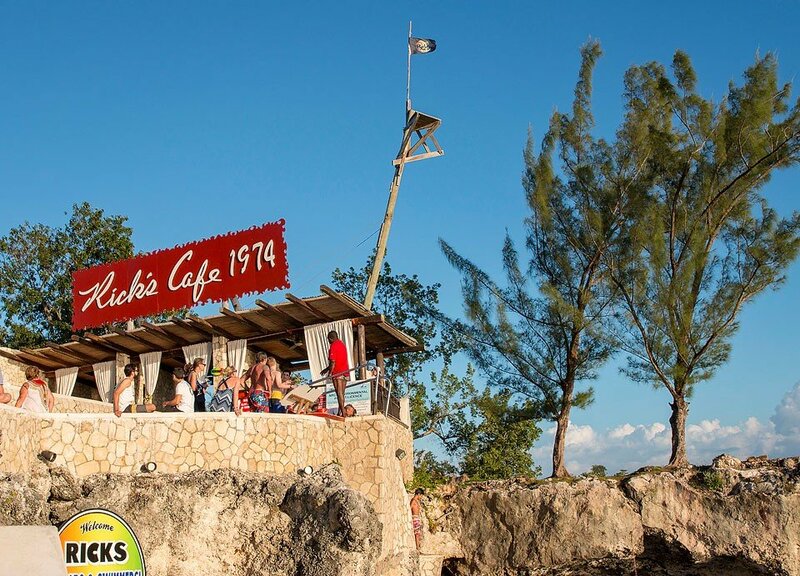 Rick’s Café is famous for the cliff jumping with one area that is over 30 feet high. There are lower areas that you can jump from, too. 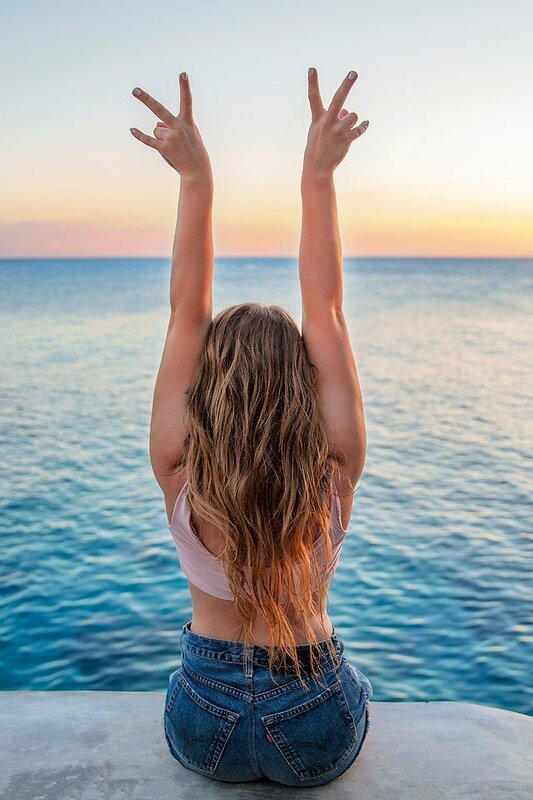 If you go….jump…because you will regret not doing it. 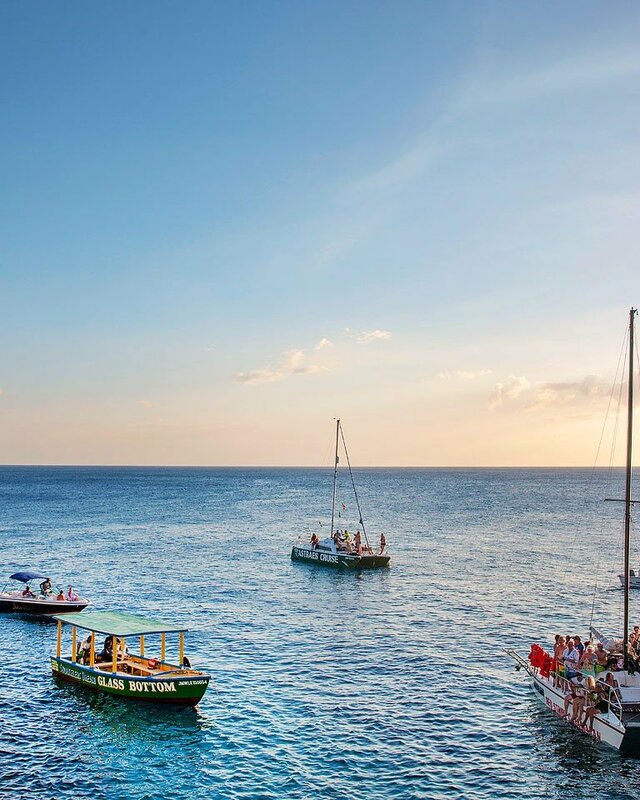 Ocho Rios which is along the north coast of Jamaica. 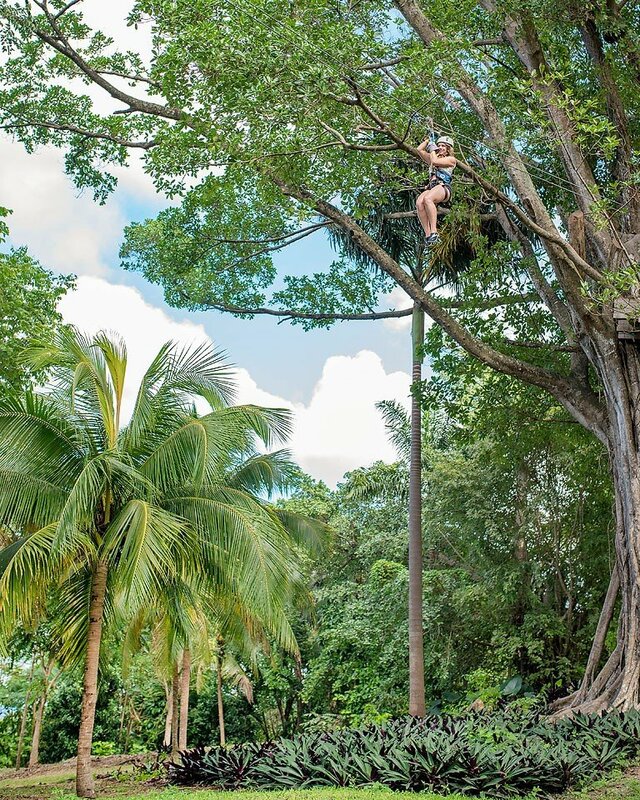 It popular for amazing waterfalls, working plantations, tropical gardens and it is also a busy cruise ship area. We went on the Chukka Fall Flyer Tour which is ziplining over the Dunn’s River Falls. It is a fun and scenic zipline. It so dreamy going through the palm trees and over the water falls. The guides were so funny and very informative about safety. Dunn’s River Falls is one of Jamaica’s national treasures. I had amazing time at the falls because I always love to visit waterfalls on my travels. You can climb up the falls (bring water shoes for this) or just sit in one of the pools. Make sure you bring bug spray…just sayin’! While you are here you should visit the beach for a quick dip to cool off. This makes a great day trip. 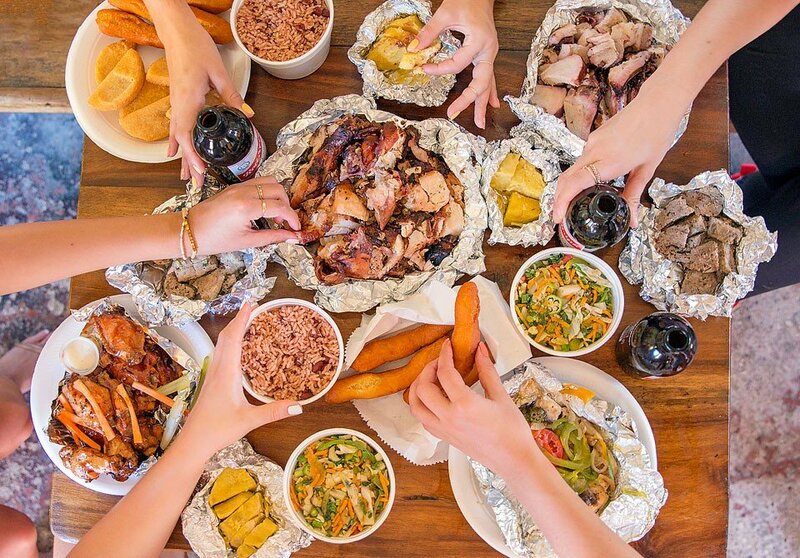 Scotchies is a Jamacian food legend and it has the best jerk chicken and pork that you will ever taste. I dream about food, so when I travel I love to try all the local eats. If you don’t go to Scotchies you are missing out on some amazing jerk. 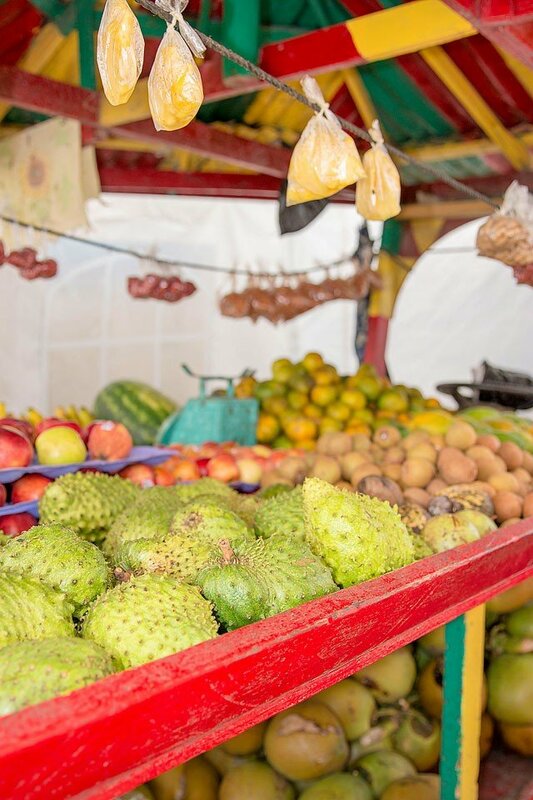 The markets in Jamaica are full of craft goods and fresh fruits. If you want a good jelly (what they call young coconuts here) you would head to the market. 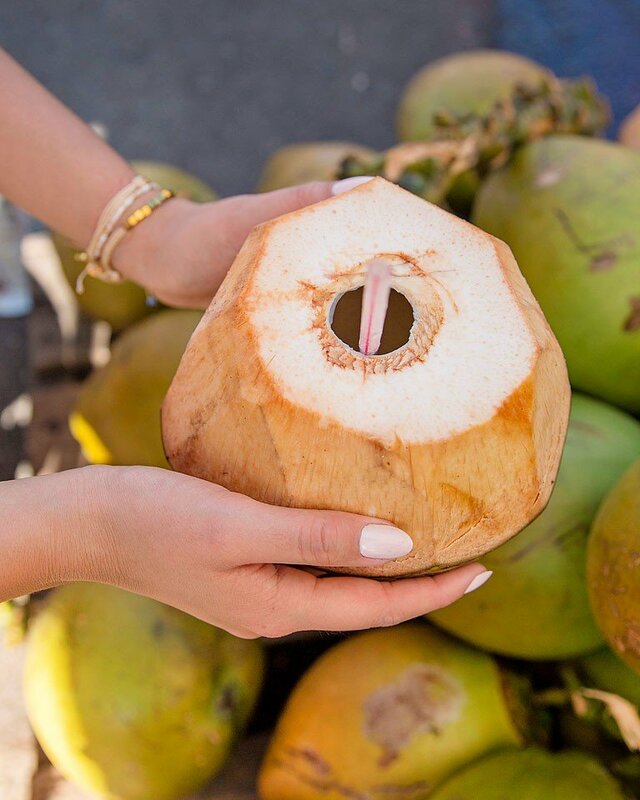 I love coconut water so having it fresh just makes it 100 times better and it is perfect to quench your thirst and hydrate you on a hot day. I also tried star apple and Jamaican pineapple while I was there. Nothing is better than local fresh fruits. 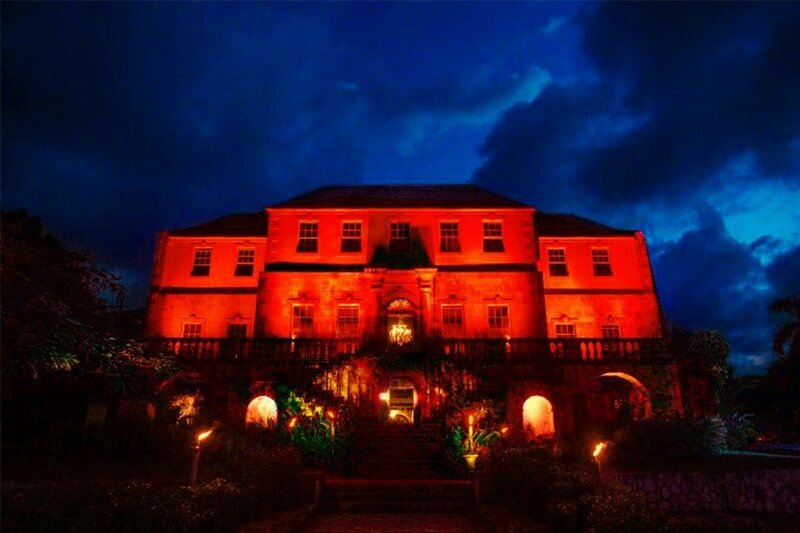 Rose Hall is open during the day, but the haunted night tour is a lot of fun. During the day the property is a beautiful green garden and you can walk around the lush areas (with lots of photo ops), but at night it turns into a VERY haunted house. The tour guide shared the story of the house and how it is one of the very few great houses left in Jamaica. The story is scary, and I am sure I screamed several times on the tour. I would not want to sleep over night there. Just sayin’…. 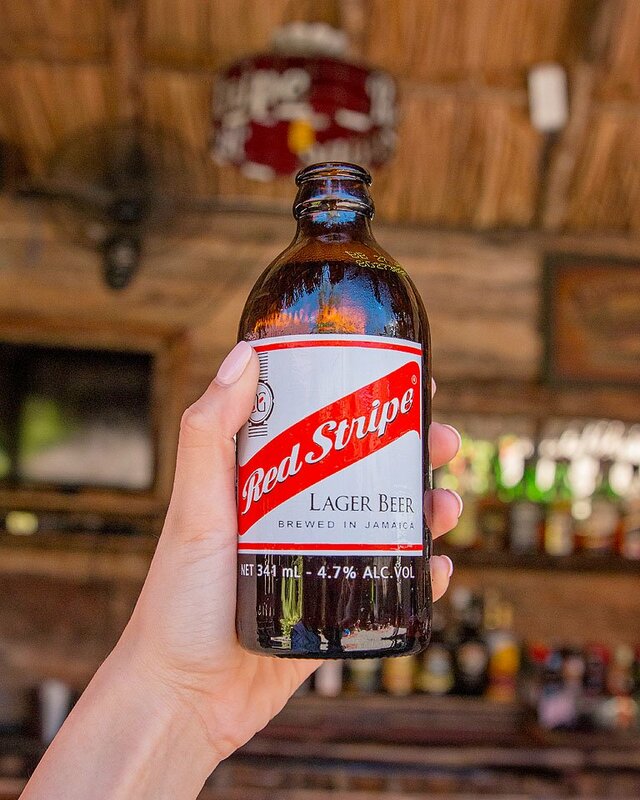 Thanks for following along on my Jamaican adventure. I can’t wait to share more with you.